221B Con – Sherlockians Unite! April 10-12 in Atlanta, GA! I’m packing for Atlanta, books and postcards and bookmarks and pretty dresses and I’m getting pretty excited. I’m on four panels and I intend to attend as many others as I can. I will be signing books in between sessions and both Jewel of the Thames and Thrice Burned will be available. If you’re in the Atlanta area, its going to be a great weekend and I’d love to see you! 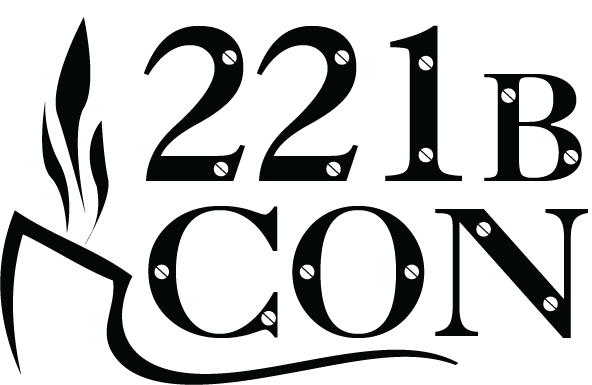 Here are all the details: 221B Con website including an awesome line-up of panelists and a schedule to die for! Just hammering out the details, but looks like I’ll be on a couple panel discussions riffing on Sherlock and all things Baker Street! There are also some pretty cool sessions booked that I’m planning on attending, like the talk by Edward Robinson from the Forensic Sciences Department at George Washington University on Fact & Fiction: CSI TV Shows and Real Life Crime Scene Work. Pre-Order Jewel of the Thames and get cool swag! If you love Sherlock, you should get to know Portia Adams! Since tonight the BBC is airing ‘His Last Vow’ in the Sherlock series, it seemed appropriate to remind you that if you LOVE Baker Street, you will surely LOVE Portia Adams, the newest consulting detective to hail from that vaunted office. We’re almost at the quarter mark for pre-orders, so get in there and order your very own copy of Jewel of the Thames – the first book in The Portia Adams Adventures. My lovely editors have added new perks for pre-orders and may I humbly recommend the Perk that includes the Baker Street badge just because it is so very neat.